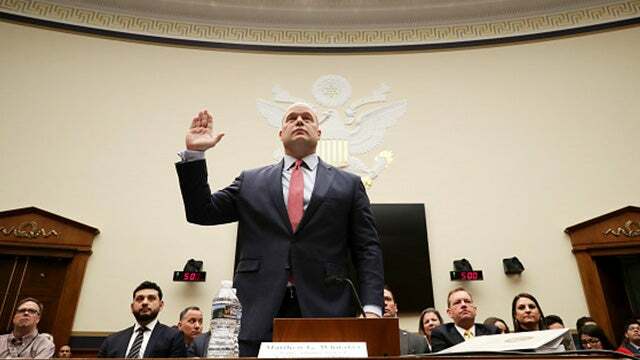 RUSH: Matthew Whitaker who is the acting attorney general who's gonna be leaving office next week after they confirm the fulltime attorney general, William Barr, has been testifying before Jerry Nadler's House Oversight Committee. It has been hilarious. This guy Whitaker is a genius. This guy Whitaker is amazing to watch, because this whole thing, this whole hearing today is a total sham. It's actually the first House hearing chaired by Democrats which is aimed at trying to move along the whole concept of impeaching President Trump. And so every one of these Democrats – in fact, I'll tell you, Nadler, of course he’s the chairman so he's asking the first series of questions, and each congressman gets five minutes. Whitaker's giving 'em nothing. The questions are basically, "Did you tell Ivanka Trump that you think Mueller is full of crap? Did you discuss the special counsel with the Jared Kushner? Did you discuss the special counsel with President Trump? Did you tell anybody even before you got to Washington that you think Mueller is a lying skunk?" It's those kinds of questions. "Yes or no. I don't care what you did. Yes or no. Did you talk to anybody about how you think Mueller is a creep?" "I didn't ask whether you appreciate it. Yes or no. Yes or no." And he's not answering anything. 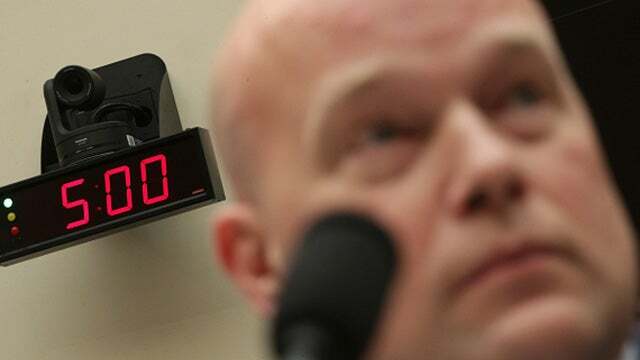 And as Nadler was approaching the end of his five minutes, he's in the middle of a question and Matt Whitaker says, "Mr. Chairman, I see your time's about up." (laughing) And the whole room busted up in laughter as the witness is telling the committee chairman that his time is up. And they are. They're asking him the same questions over and over. It's a perjury trap. What they're setting here really is a process crime, perjury trap, but he's a very smart guy. He's very much aware what they're trying to do here. This is like Sheila Jackson Lee (imitating Lee), "Are you aware that the Russian interference in the election in 2016 is one of the worst things that ever happened in America? Do you oppose it or are you in favor of Russia interference? 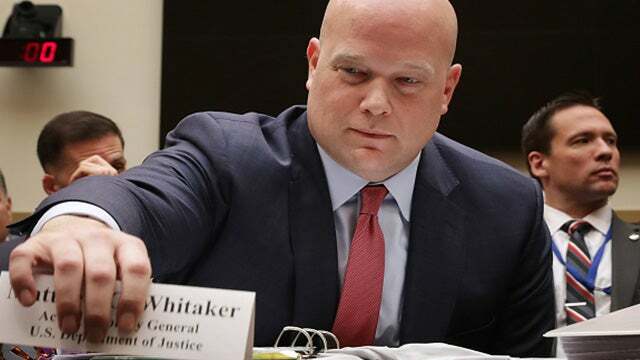 Mr. Whitaker, you ran for the U.S. Senate; right? Did the Russians help you in your election?" "Madam congressman, if the Russians had sought me or foreign agents I think I would have called the FBI. But it didn't happen so I didn't call the FBI. I've not known any foreign nationals attempt to intimate me or influence any other election." "Yes or no! I don't care what you -- yes or no." And she gets frustrated, "Mr. Chairman, you make him, you make him answer yes or no." Then she demands time to be put back on her clock 'cause he is stonewalling her. And it's classic. These people all think they got Whitaker here in the palm of their hands. They’re gonna make mincemeat of him and by the end of the day they're gonna have Trump impeached and they’re gonna be on the road. And like all liberals, they think everybody else is the idiots and they’re the geniuses, and in practically every case they have their lunch handed to 'em. It's been fascinating, funny to watch, frustrating at the same time. But the Democrat incompetence has been on parade. But that is nothing new.